A private Melbourne developer has snapped up a South Melbourne site which was offered with a permit for a 20-storey residential development for 174 apartments and some small retail. 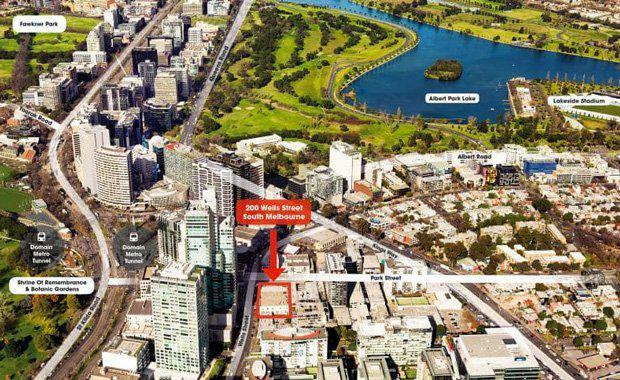 Steller Group has spent $23,400,000 on one of the last permitted sites within the St Kilda Road precinct. Artisan Architects have designed the permitted development. Chris Curtain, Nick Bade and Paul O’Sullivan from agents Lemon Baxter handled the sale of the site located at 200 Wells Street - Corner Park Street, South Melbourne. The 1543 sq m site is located approximately 50 metres from St Kilda Road/Domain Rail Interchange. The sale price represented a land rate of $15,165 per sq m and a unit rate of $134,482 per unit. The site has an approved permit for 174 residences over 20 levels, 197 car parks, 197 bicycle spaces, 175 storage facilities and a ground floor retail component of 300 sq m.
The campaign generated in excess of 150 enquiries from a mix of local and off-shore developers. Ultimately Steller managed to out-muscle very strong interest from other local and Asia-based developers. “Despite media reports to the contrary, developers are scrambling to secure high quality residential projects to deliver more housing into the market to meet the demand of Melbourne’s burgeoning population," Curtain said.